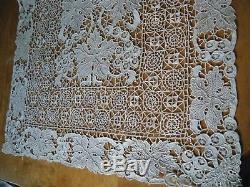 This is a late 18c Antique large attractive lace Runner with combo Italian Reticella lace and Belgium Zele lace. 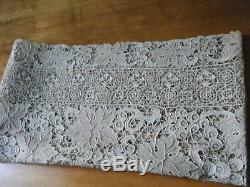 This is museum quality of beautiful work and gorgeous design on this "banquet" extra long runner. 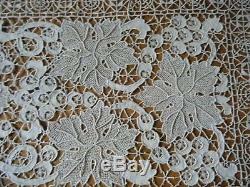 Significant hand done needle work with great details on. 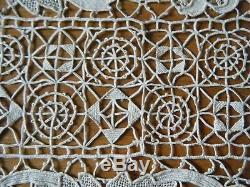 Zele lace motives on this particular old runner are outlined with cordonnet covered with buttonhole stitches and this make the pieces more important. 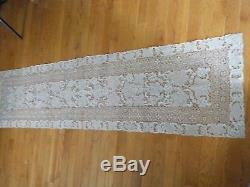 Is measures 72" long X 18" wide. 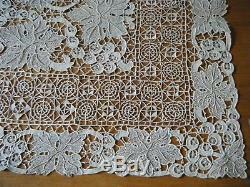 Great antique condition no issues. The new owner can refresh it , by desire. Photos are part of my description. 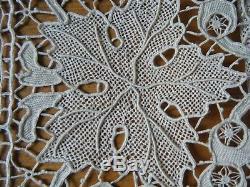 Please take look at my pictures and thanks for checking on my auctions. I Accept Pay Pal only. I do research it to the best of my ability. 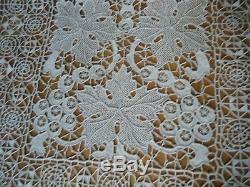 Please be aware that most of the linens and textiles that I sell are old, have been pre-owned and used and as a result may have flaws commensurate with age and use. 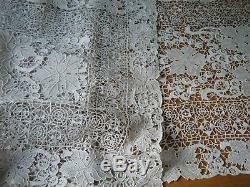 Unless stated in the main description, these are not immediately noticeable. I have to stress this as some customers appear to expect immaculate items with no signs of previous use. 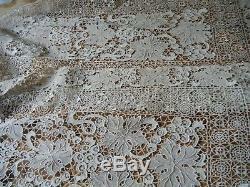 The item "18c Antique lace Runner Combo Italian Reticella Belgium Zele HD Museum Quality" is in sale since Sunday, October 28, 2018. 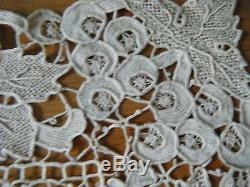 This item is in the category "Antiques\Linens & Textiles (Pre-1930)\Lace, Crochet & Doilies\Trim & Edging". 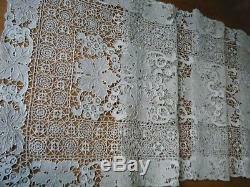 The seller is "orel126" and is located in Somerville, New Jersey.